When you hear all the news touting the economic benefits to St. Louis of having the Cardinals in postseason play, remember your local independent restaurant. When the Cards are on TV in the postseason, business is impacted. For sports bars and places within walking distance of Busch, there’s a huge upside. But for others, the damage can be significant. What should a restaurant owner do? Here are a few ideas. Let your patrons know it’s okay if they check scores on their smart phones. Not that they wouldn’t anyway, but if you and your crew sanction such behavior, they are likely to feel more comfortable about doing it (and may return during future playoff games). Offer special catering packages to your patrons who want to throw playoff parties in their homes! Look for additional business on open dates. I’m not sure where the Giants and their traveling party are staying in STL (Westin? Ritz? ), but they may want to go beyond their hotel and its environs for dinner this Friday night (and next Friday if the series goes beyond 5 games). Make sure the concierges/front desk crews at all major hotels know you’d welcome the business. For diners, a Cards playoff game may result in less demand for tables, even on a generally busy Saturday night. 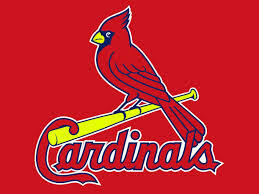 In the long run, having our Cardinals in the NLCS and, maybe, in the World Series is a great thing for our city. Despite that silly Wall Street Journal piece last week, many people around the U.S. genuinely like the Cardinals. And because of their affection for the team, they are more likely to embrace our city and the entire region. And, as Martha Stewart might say, that’s a good thing.